Do you ever visit your veterinarian or view a veterinary report and wonder: “What does this mean?” Do you sometimes feel intimidated by your veterinarian or the responsibility of making a medical decision for your dog? Now you can relax a bit. CPT has come to the rescue! 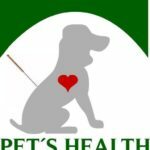 Pet Place has some outstanding articles that demystify veterinary examinations. In the article “Understanding Blood Work: The Biochemical Profile for Dogs” the author provides a sample blood work report, details normal ranges for each of the electrolytes, enzymes, and other criteria tested, and explains the relevance of each blood profile constituent. A blood profile is a common component of a thorough veterinary examination and a vital diagnostic tool when determining the presence of a disease condition. In the article “Understanding Blood Work: The Complete Blood Count” the author provides a sample CBC report, provides normal ranges for each measured variable, and explains the relevance of each variable. The CBC is an important test in determining anemia, cancer, bacterial infections, viral infections, parasitic infections, dehydration, vitamin or iron deficiencies, immune disorders, allergic disorders, or other conditions. The following bloodwork summary from the Purdue University Veterinary School also provides excellent detail while remaining highly readable. Although most veterinarians are highly competent and have your best interest in mind when recommending medical procedures, you should still exercise due diligence by educating yourself before completing any key medical decision regarding your dog. Therefore, we highly recommend that you read the linked articles and maintain them as a reference when addressing future veterinary dilemmas.